Exclusive Rolling Tray set in Galaxy Sessions Design by Pretty Trippy Shop. -- Helps keep your tchotchkes tidy. 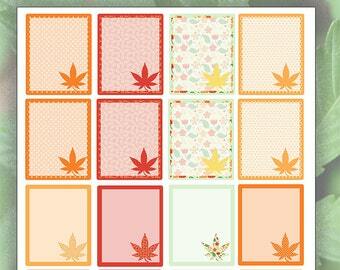 It's the kind of piece sets the stage for your perfect cannabis Kawaii smoke session, so sit back and enjoy the whole holographic scene! Look extra cute with Tiffany Mint pre-rolled cones. These clean burning pre-rolled cones by Beautiful Burns will be the lite of your party, darling. 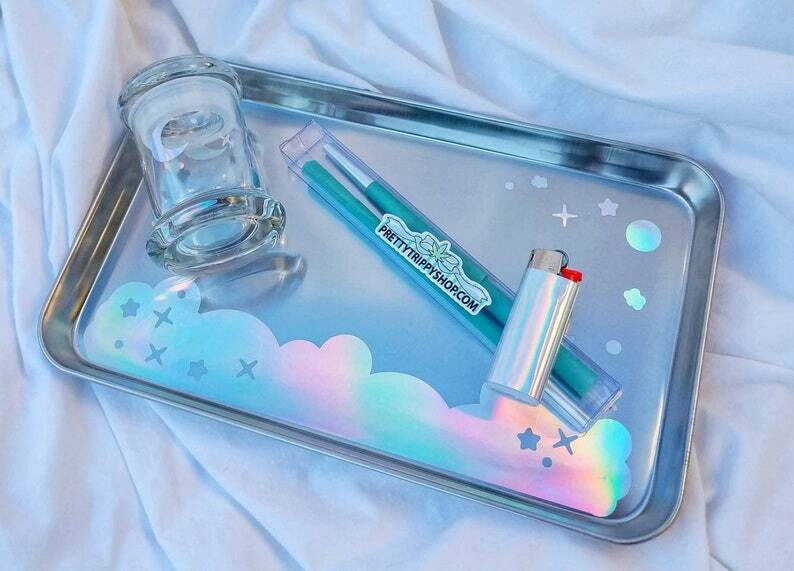 The tray is cute by itself, but its even cuter when it comes with a matching jar and papers! You're going to love this lighter. You'll get lost in it's color shift, like one those hazy Saturday mornings in the woods, and you'll turn it over and over in your hand while you session after a long work day. It will be your new favorite touchstone. Tray Sets ship with professional care in discrete, sturdy cardboard shipping boxes with bubble-wrapped packing. Tray sets are sent by USPS Priority Express, generally arriving within 2 days after being shipped. Current processing time for tray sets is 1 day. My goal is make your buying experience a happy and joyful one. Please let me know if you have any questions, concerns or special requests. The best thing I bough In awhile. Keeps my mess contained while I feel extra cute.